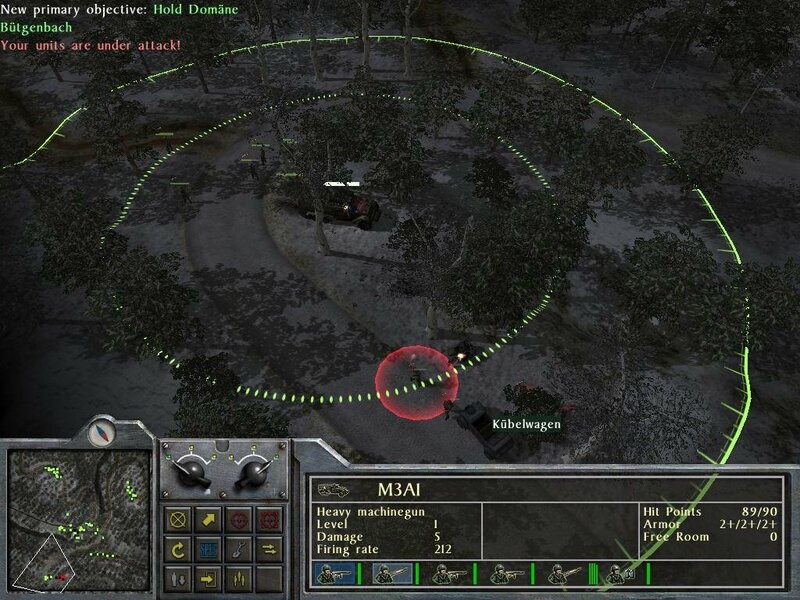 1944: Battle of the Bulge, a strategy game in the spirit of Blitzkrieg, is played out in twenty single-player missions which cover the Allied advance into Normandy from both American and German sides as the scripted missions constantly shifts sides and battlefields. 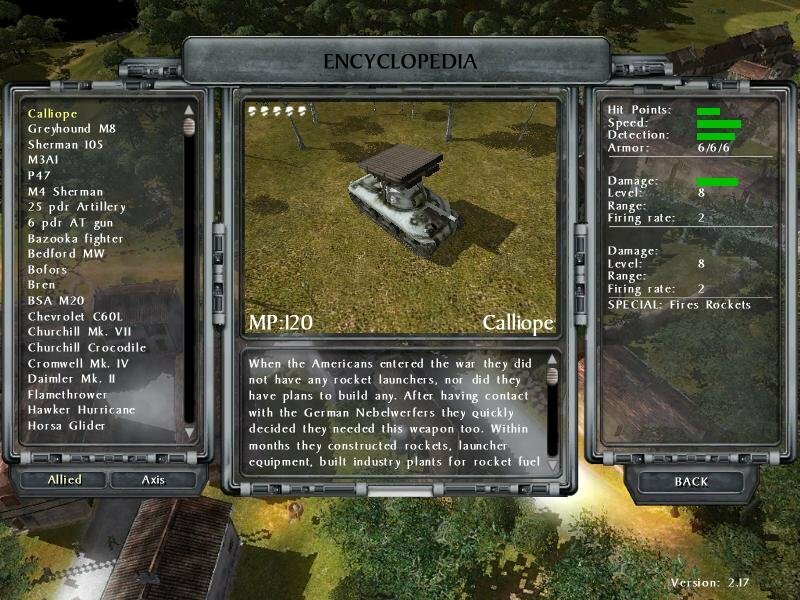 Since the time period of the game is relatively short (Fall 1944 to January 1945), the singleplayer missions have received more historical details than is normally expected. 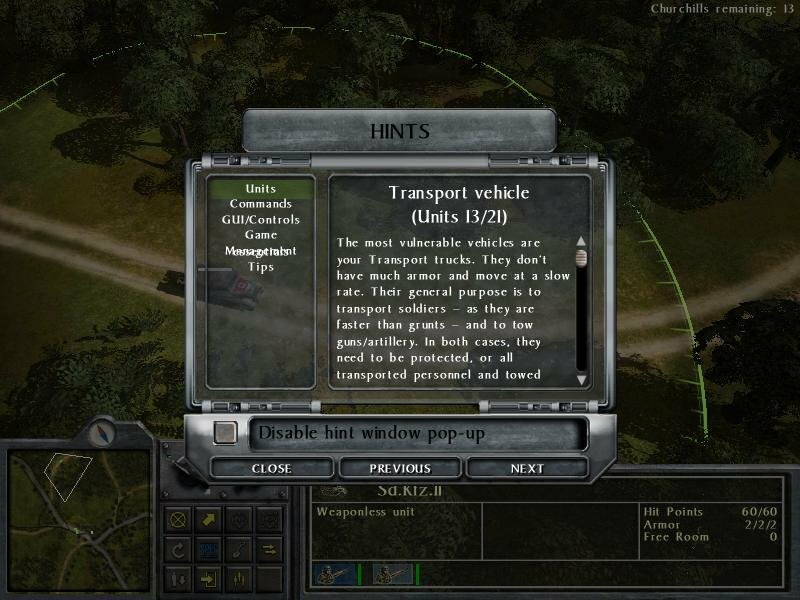 It also means that there isn’t any gradual unlocking of tanks and special units (the introductory mission hands you Jagdtigers from the onset, for instance). 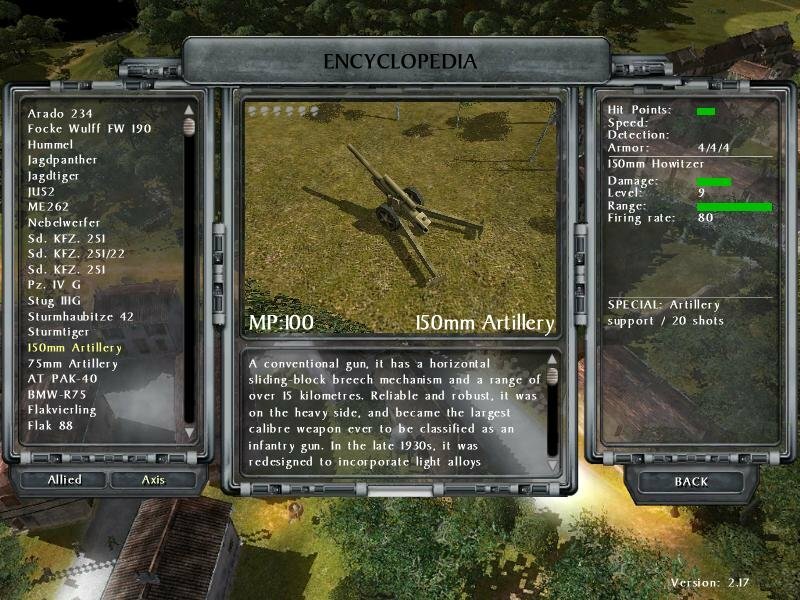 Unlike other strategy games, you won’t do any resource gathering here. 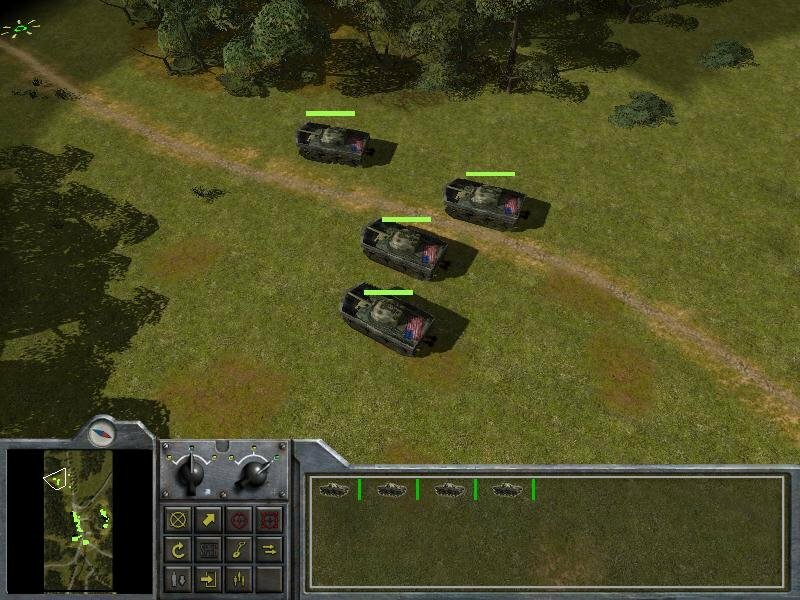 Like with most games that feature tanks and infantry, the infantry units are pretty useless. 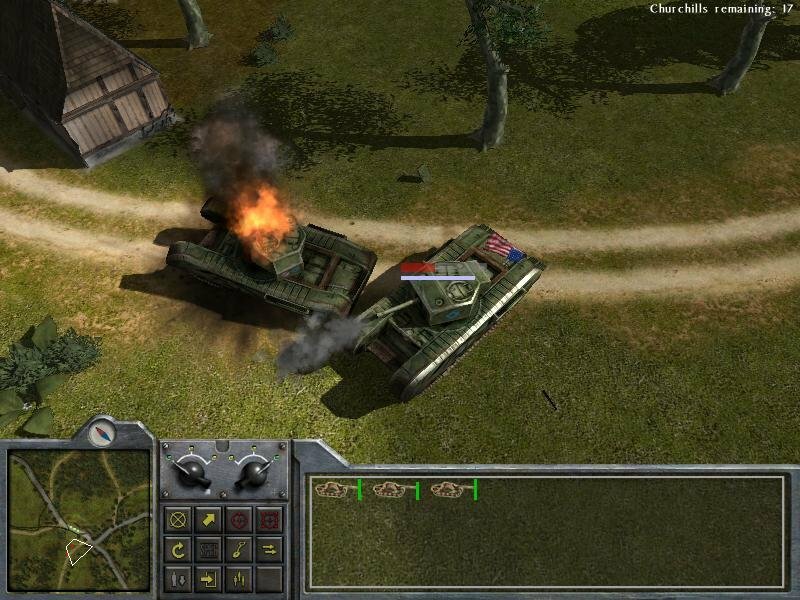 Unlike in C&C games, tanks can kill infantry pretty easily. 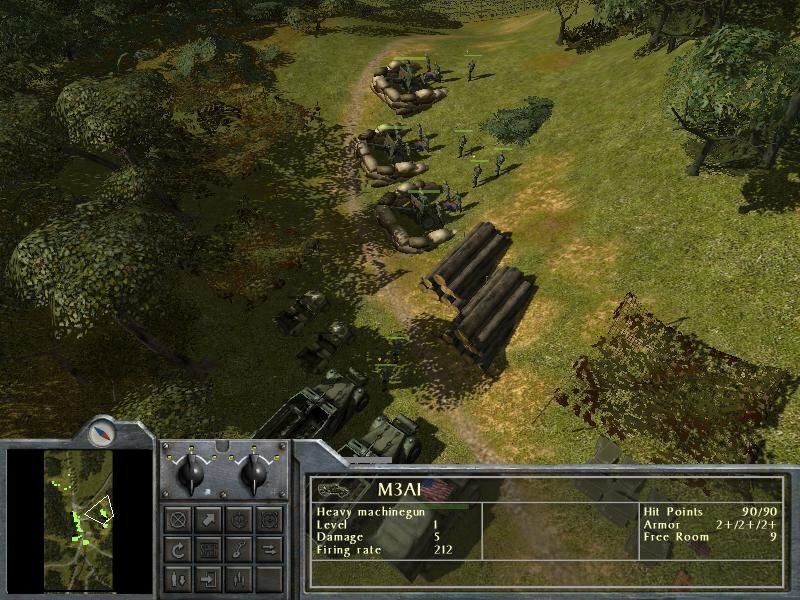 What infantry is used for mostly is to drive the tanks and other vehicles. 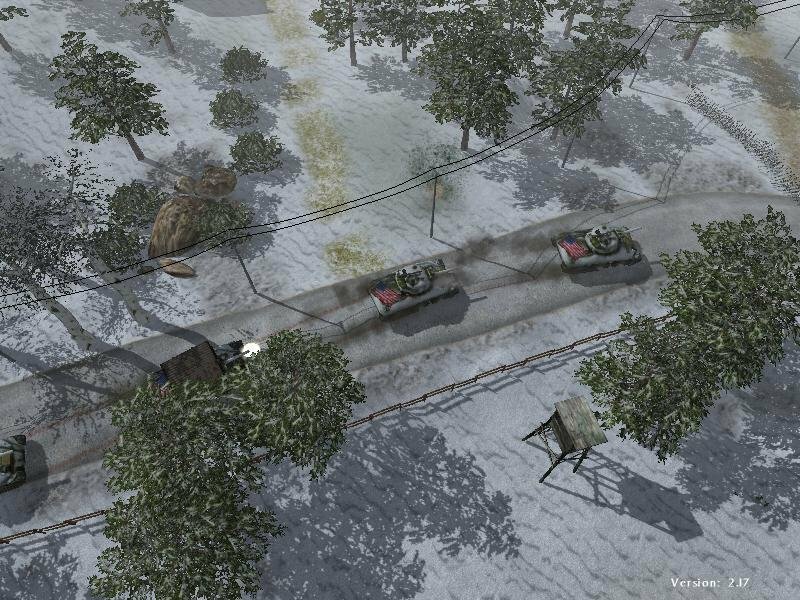 Each vehicle requires a crew to function (tanks usually require four people, for example), and different infantry units in the vehicles can give them different bonuses. 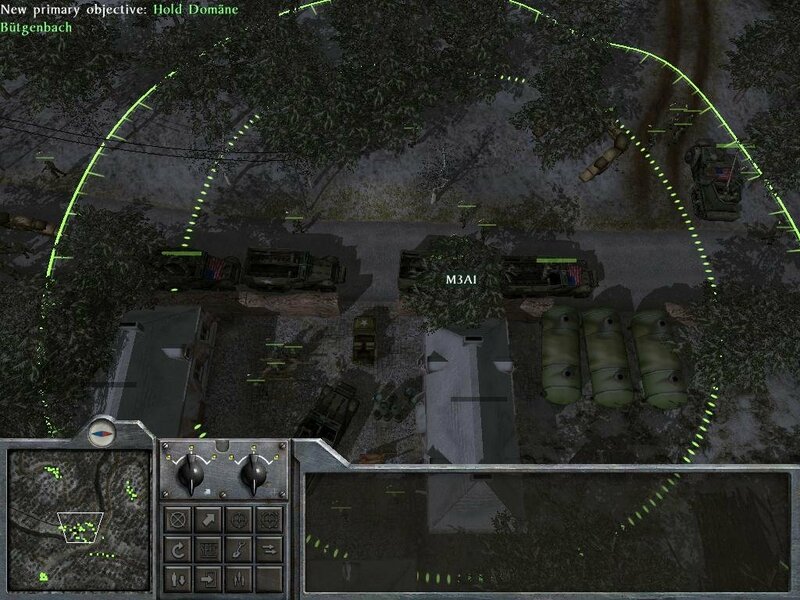 For example, if the vehicle has a machine gun and you put a machine gunner unit into it, then the machine gun will function better. Unfortunately, beyond how vehicle crews work, there probably isn’t anything in 1944: Battle of the Bulge that you haven’t seen before. 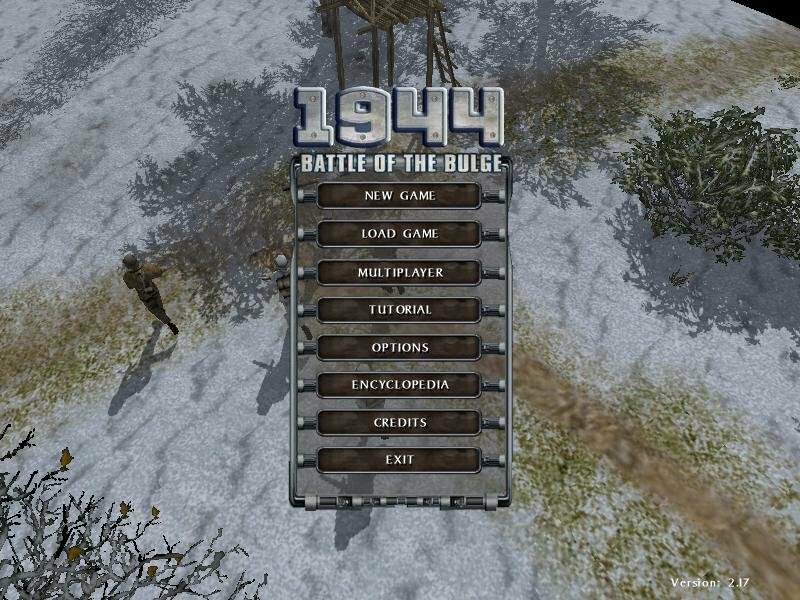 Yes, the game looks nice and tanks blow up really well, and there’s a good selection of units to choose from, but because you can’t build bases, Battle of the Bulge feels sort of like half a strategy game, and there isn’t too much you can do during missions. On the good side, if nothing else, that multiplayer skirmishes are quick and entertaining (although, sadly, the game only comes with three multiplayer maps). But on the bad side, there isn’t a skirmish mode for solo players, and the campaign gets brutally annoying by the end. Another problem has to do with pathfinding. 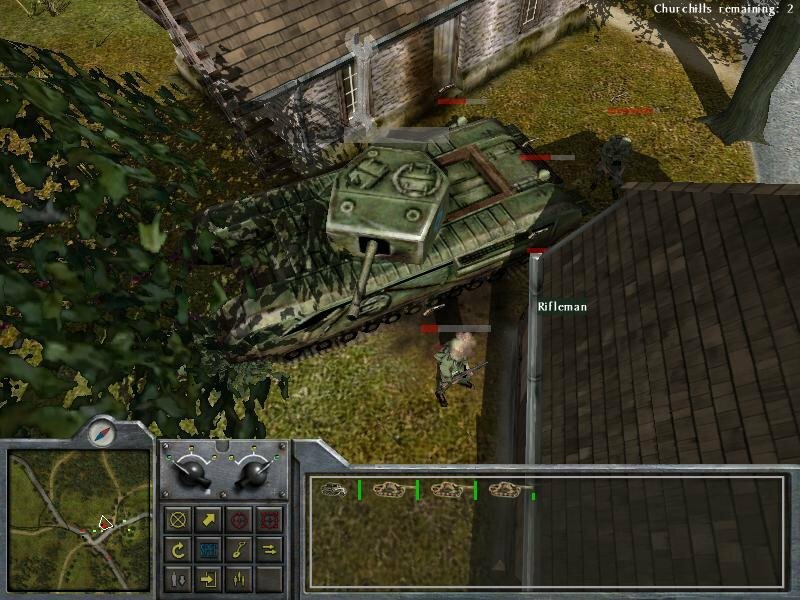 Especially if you’re dealing with heavy streets and small spaces, tanks are incredibly bad at finding routes. 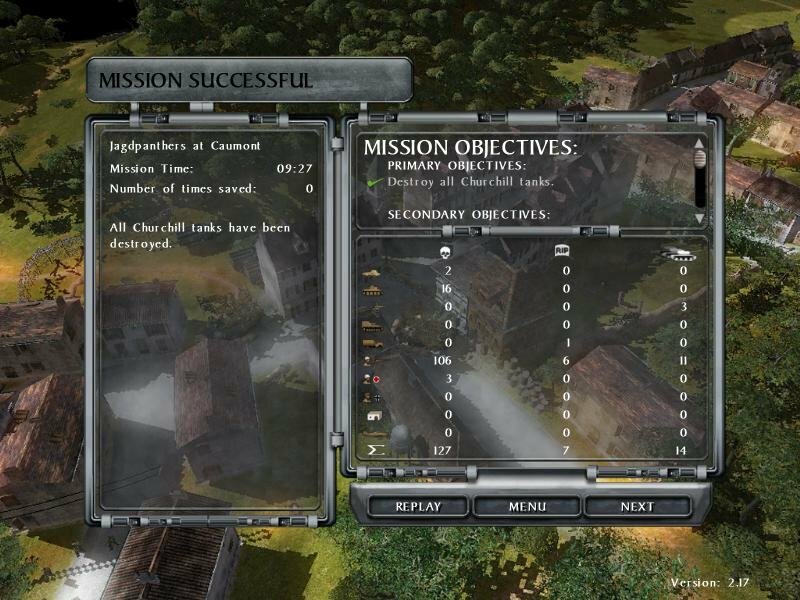 Because each mission is fixed-force, and because units can carry over from mission to mission (and gain ranks depending on how many missions they’ve survived), and because you’re graded in each mission based on how well you perform, you pretty much have to play each mission perfectly in order to advance. 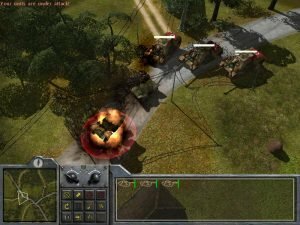 As a simple skirmish it works well enough, although competing games (such as the more primitive Blitzkrieg) have managed to present the action of World War II with a bit more grace. 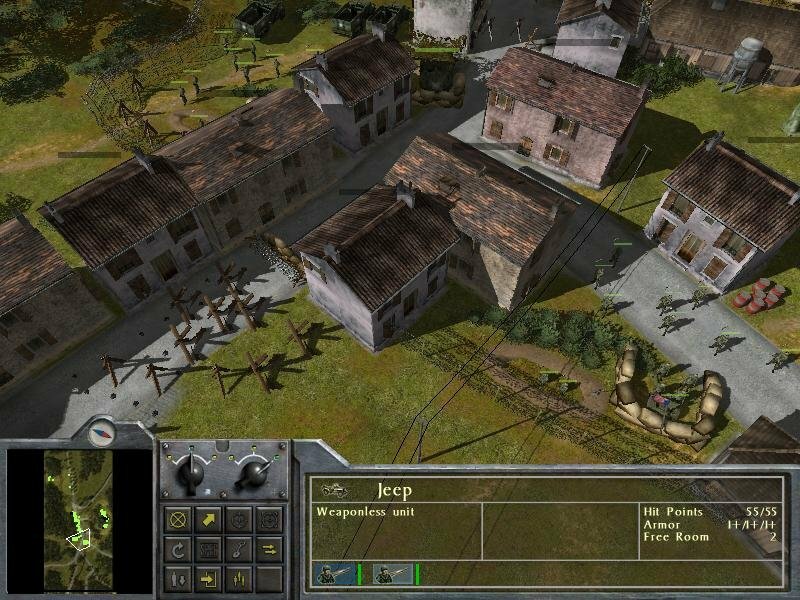 Is there any expansions of this game? Whats is the password of the Crack file rar? 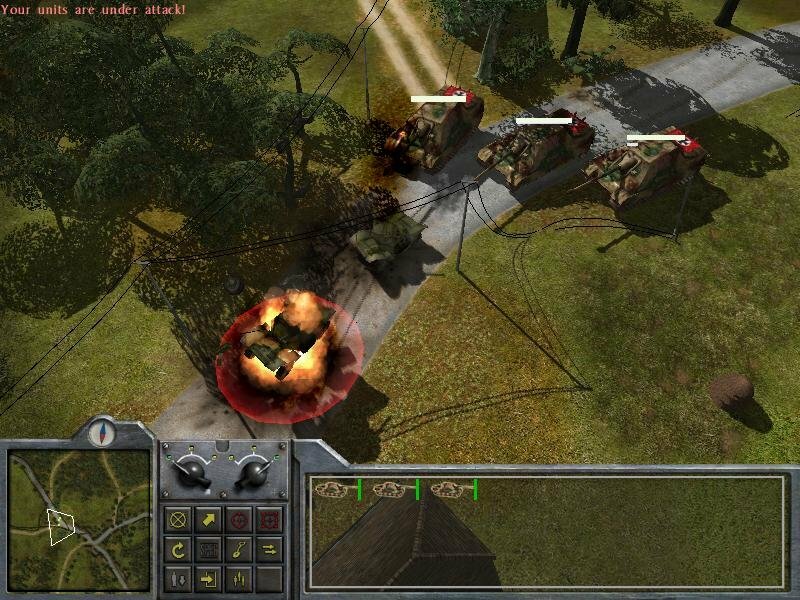 Suggestion: Please add Soldiers: Heroes of World War 2 (2004), Faces of War (2006). 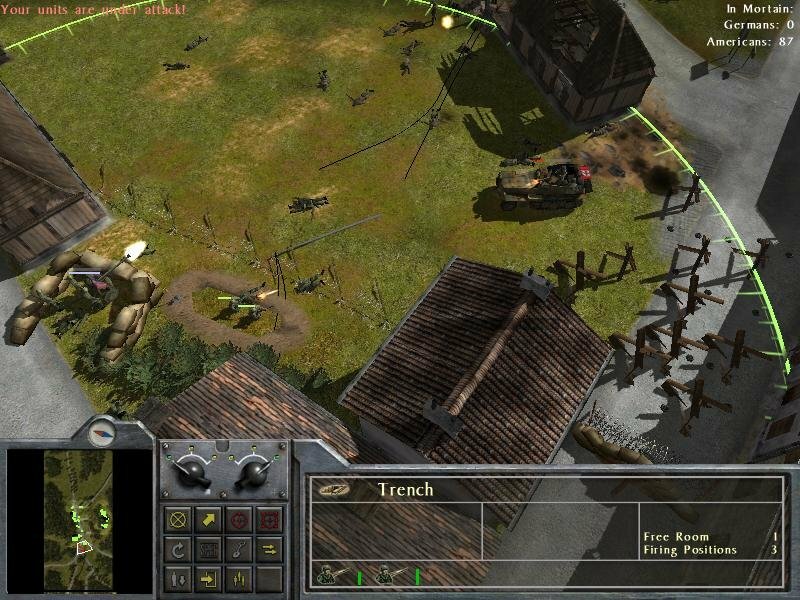 The two are the predecessor of Men of War series.